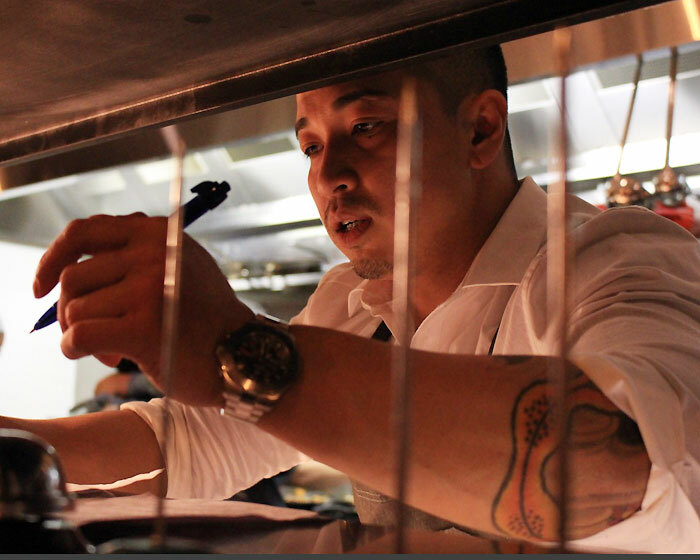 Born in Can Tho in South Vietnam, this man with many talents came to Australia as a refugee and began his culinary career in 2000 working for some of Sydney’s most refined Italian restaurants, Casa di Nico and Pendolino. These days along with his Marrickville restaurant, Cuong has two Banh Meats & Co venues in Barangaroo and Burwood, bringing Viet-style sandwiches and salads to the streets; and plans for a second Hello Auntie in Darling Square, due to open in August. Cuong combines his Vietnamese heritage with a creative flair for making art on a plate – his passion for food started as a child when he would cook with the family. He realised his dream of owning his own restaurant at 32 when he opened Edamame, serving a combination of Italian and Japanese food in Sydney’s inner-west. Before taking up the pans, he had very eclectic interests from playing the trumpet for the Australian Junior Symphony Orchestra, presenting his own line during a fashion show at Enmore Theatre, featuring on the Kerri-Anne Kennerley television show for graffiti art and releasing a hip-hop record. 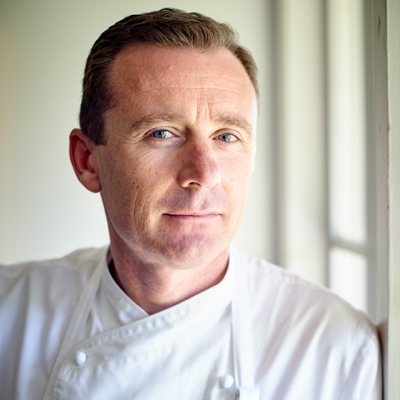 "Oh man, I was so naïve when I opened Edamame – no money, just an idea; not a businessman, just a Chef,” he tells AGFG. "When it failed, that hurt me a lot mentally, but it also taught me how to do it right the second time around. 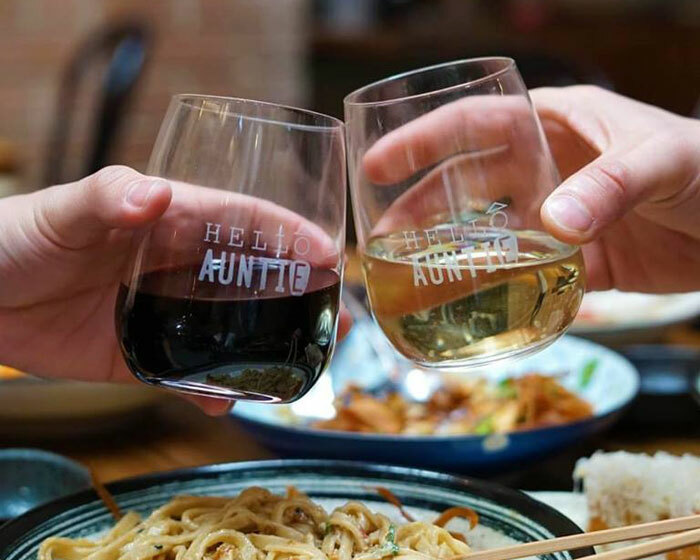 Cuong’s mother Linda has played a monumental role in his career and still works alongside him in the kitchen at Hello Auntie. "To be honest, I wouldn’t be where I am today without her, it was her idea for me to open another restaurant after Edamame closed. I have never trained or worked as a cook in an Asian restaurant, so all my Vietnamese flavour profiles come from her. Linda recently returned to the kitchen to look after Cuong’s pho dishes, as he wanted the flavour to be more consistent. 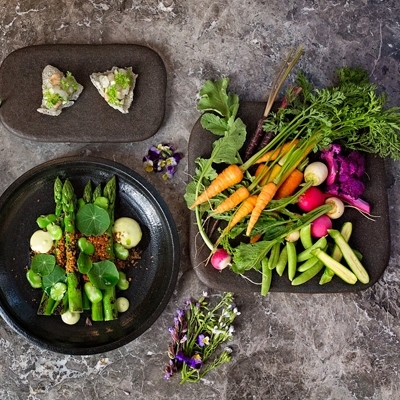 Known for the spectacular plating of his creations, Cuong studied fashion before becoming a Chef and tries to translate that experience into his dishes. "I like things to look pretty. 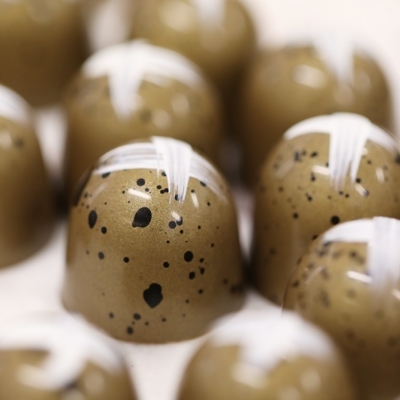 As a younger Chef, I would always try to make art on the plate, but never truly focused on flavour. Other Chefs would tell me my food looked good but tasted average. I had to rethink and work really hard to make things look and taste good. 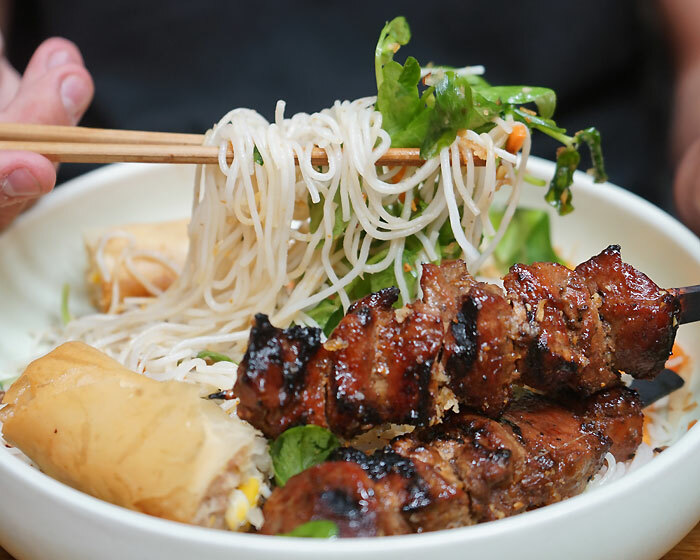 Cuong shares his recipe for Bun Thit Nuong - Char Siu Pork Skewers with Vermicelli Noodles with AGFG, at face value a simple dish, but there are a lot of elements to achieve the final result. Becoming a father at age 24 taught Cuong true responsibility and made him a better, more humble human being. So much so, that for the last 10 years he has been part of a private charity group building bridges, temples and bringing clean water to remote villages in Vietnam. 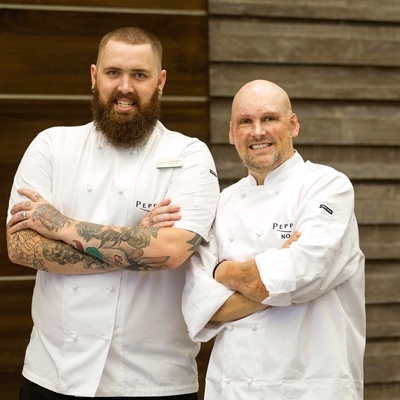 He also extends this philosophy to his staff with a legacy programme to train them on how to be business owners and help them get finance to obtain a piece of the pie, as his culinary empire grows. 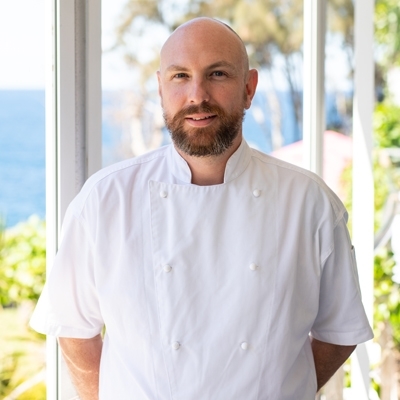 With the aim of another three venues by 2024 and a book and web series in the pipeline, this is one Chef who knows where he is going and how to get there.